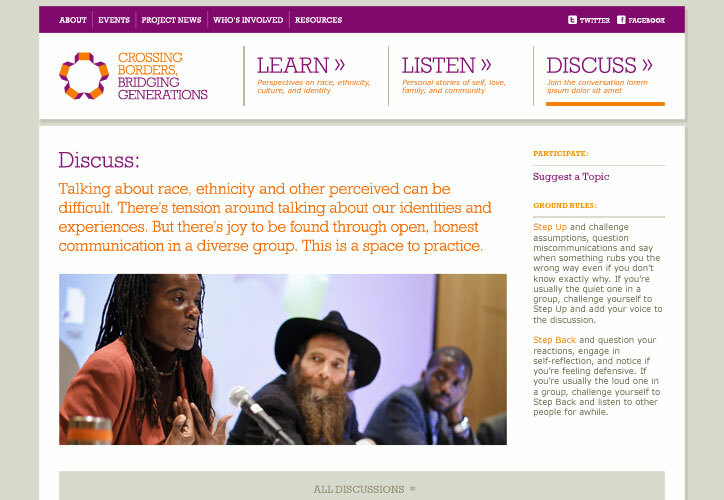 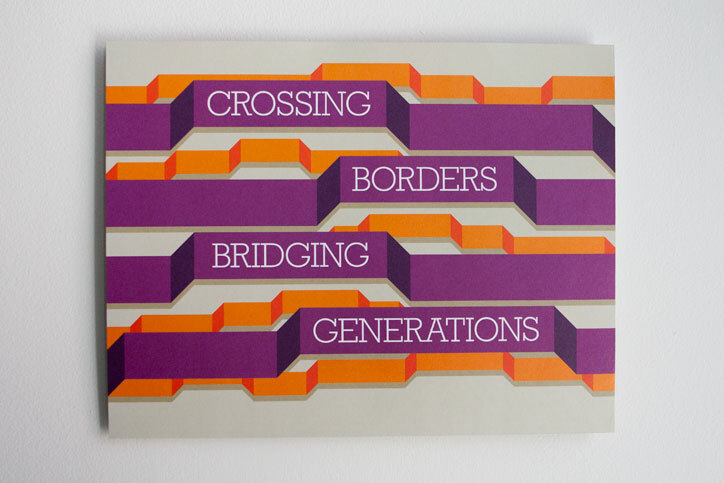 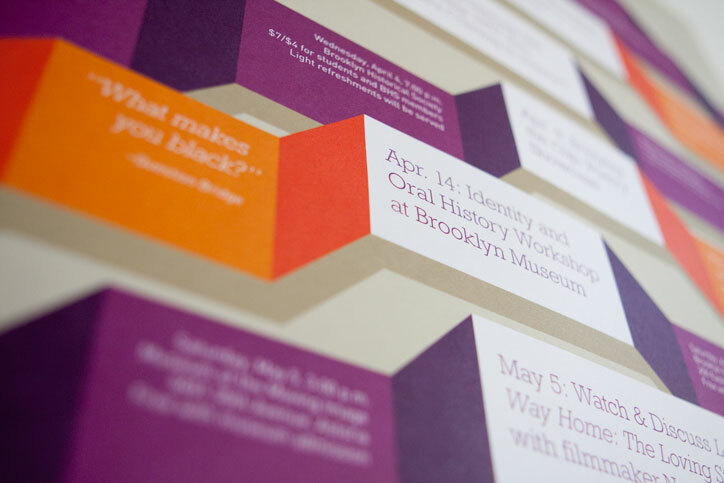 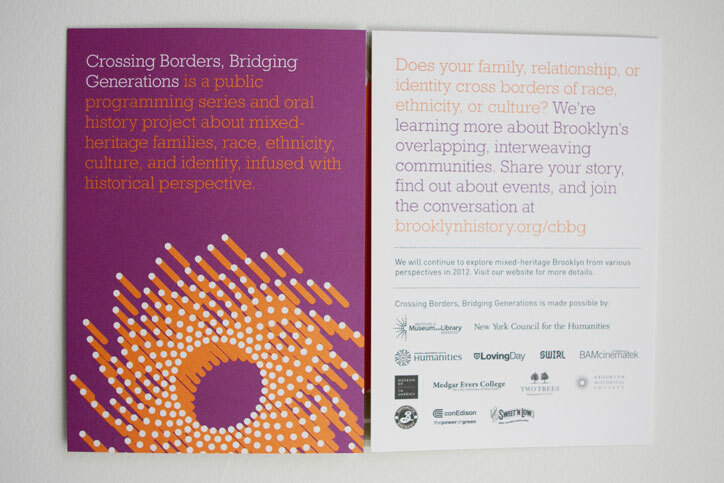 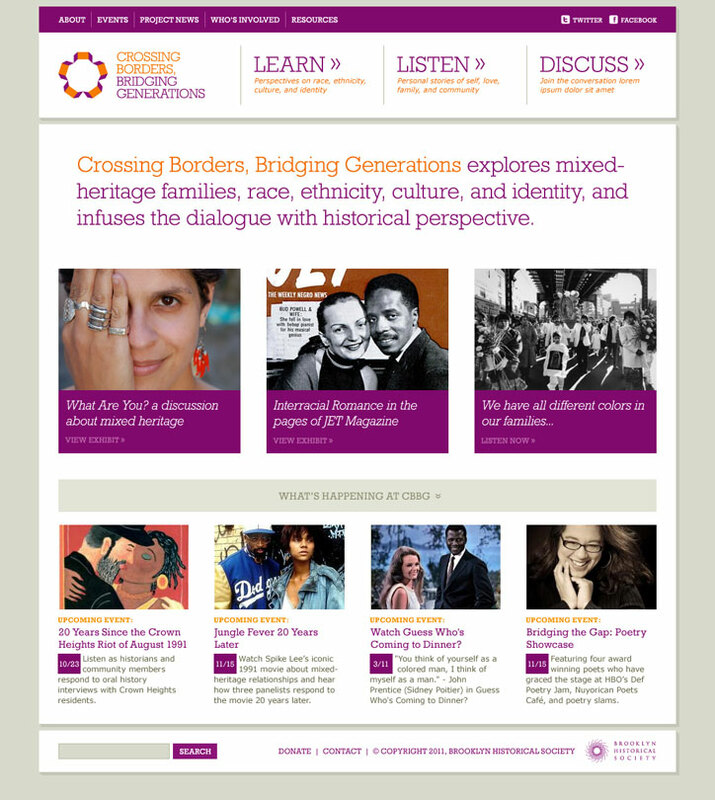 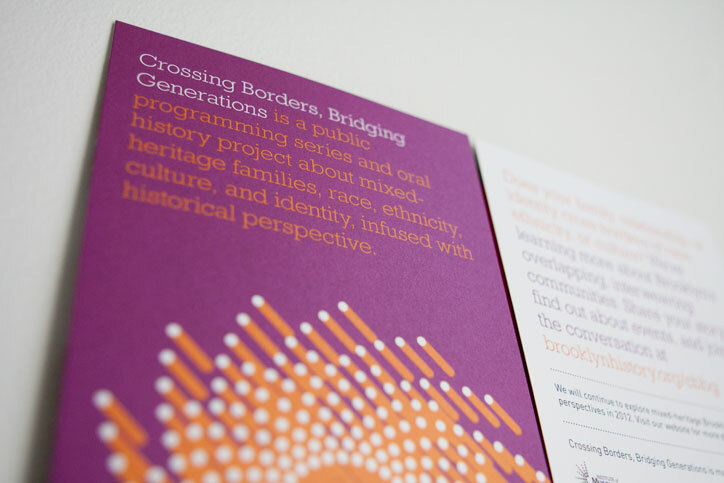 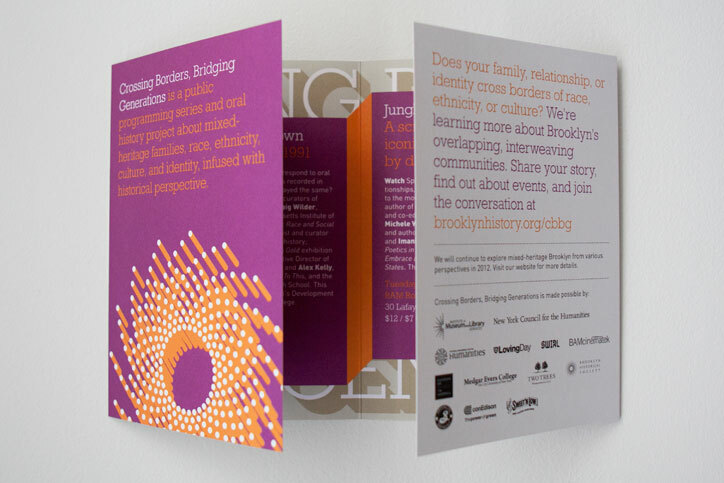 The Brooklyn Historical Society’s “Crossing Borders, Bridging Generations” is an oral history project and public programming series about mixed-heritage. 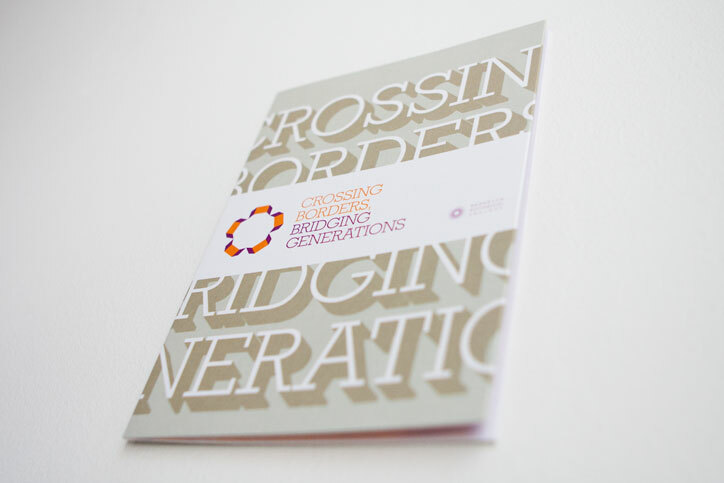 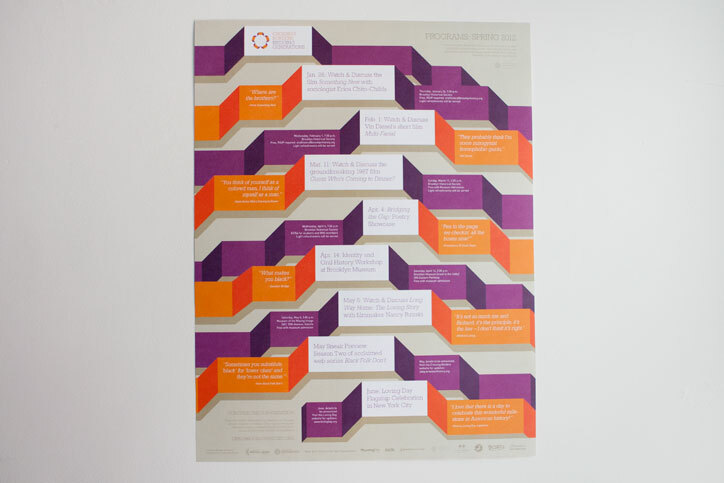 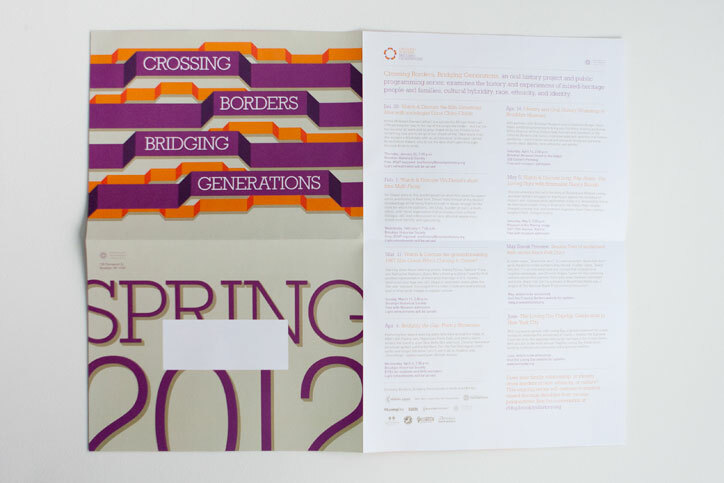 I designed the logo and website for CBBG, as well as two print pieces: the fall 2011 brochure, and the spring 2012 brochure/poster. 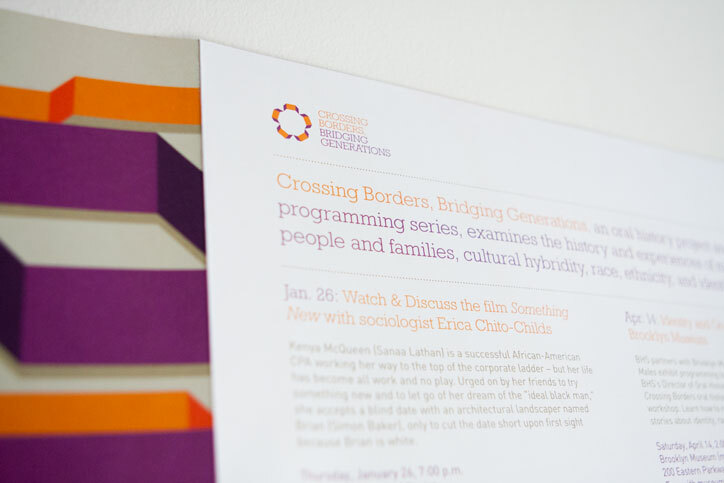 In addition to my design work, I was also a moderator/interviewer for an event at the Museum of Chinese in America for this series. 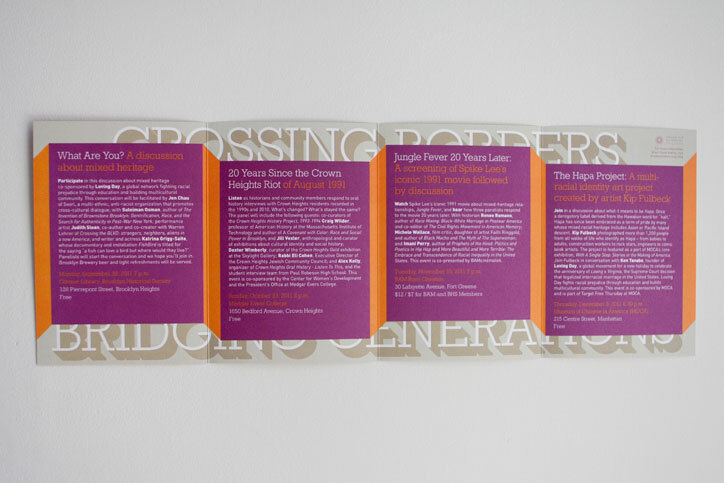 The Loving Day Project (of which I am founder/president) was a sponsor of this series.